We are the manufacturers and exporters of DMP ribbons based in India also giving refilling aids for inkjet and laser printers. Bringing more than 25 years of experience in printing industry, our DMP ribbons are highly affordable and quality products. HP, samsung, canon, xerox, lexmark, epson, konica minolta, toshiba, ricoh, sharp, brother. Gajanan laser toner is one of our leading products. Toner is a powder used in laser printers and photocopiers to form the printed text and images on the paper. Our toner improves the quality of the printout. Our clients can avail from us prompt Ribbon Refilling Work services, which are used to refill dot matrix and line printer ribbons. These are offered by us at the most affordable rates, since our equipment are capable of printing upto 1 lac 30 thousand characters. Further, these services can be executed as per the specific requirements of the clients. We are a leading manufacture wide range of Inkjet Refill Kits. 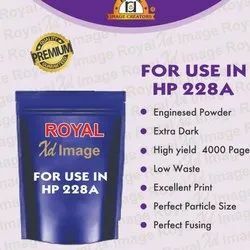 We are engaged in offering high quality Inkjet Cartridge Refill Kits for our customers.